Contact 911 Restoration St. Louis owner John Fowler, and his water damage Ballwin team to take on any sort of restoration project that your home needs taken care of. Eliminating the challenges presented by a pipe burst, water heater failure, or any other type of flooding event takes skill, countless hours in the field, and trust that can only be earned through total professionalism. John and his water damage Ballwin team have the know-how, and the talent to get jobs done quickly and at a bare minimum of expense to the homeowner too. Don’t let your home experience any of the ill effects of a pipe burst, water heater failure, or all other variations of water damage. Contact John and the water damage Ballwin team with 911 Restoration St. Louis and get all the help you and your home require today! John and the water damage Ballwin crew can solve all of the challenges that can result from a water damage intrusion, but they are also trained and certified specialists when it comes to preventing destruction through simple maintenance too. Never let the temperature in your home dip too low. This will allow for pipe burs scenarios to unfold and that can mean serious water damage and the repair of the entire plumbing system in your home. Make sure to trim back or cut down any branches that overhang your property and threaten to fall on your structure. Keeping these dead limbs at bay can lessen the chances of them falling into your home during heavy rain and wind and causing water damage to the interior. Every few years you should take time to inspect the hoses, rubber fittings and other connectors on your water-based appliances. If these fail under pressure they can cause massive amounts of water damage when you least expect it. Be sure to never flush anything into the system that it was not specifically designed to handle. This can include items that claim to be biodegradable as well as multi-ply paper too. 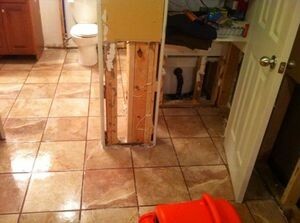 It all depends on your system, but in the end its safest to err on the side of safety to avoid water damage. Don’t let your home take on water from a pipe burst, water heater failure, or anything else. 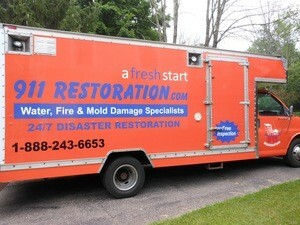 Contact John and the water damage Ballwin team with 911 Restoration St. Louis today for all the assistance you need! 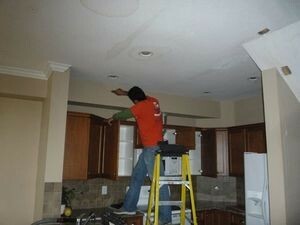 John and the water damage Ballwin team recently took on a job for a homeowner who had tried using another restoration contractor and only found out that the job would never be completed because all the first company planned to do was extract the water damaged materials, but not restore the home. When John and his water damage Ballwin team completed the work, the homeowner was blown away by how incredible things looked. John and his water damage Ballwin team always make sure to put the customer and their needs as priority number one in all the work that they do, and this is just one example of how that pays dividends, not only in referrals, but in satisfied customers who get to enjoy their home properly again. If your home is being antagonized by the effects of a water damage invasion, then don’t wait until the situation grows mold. 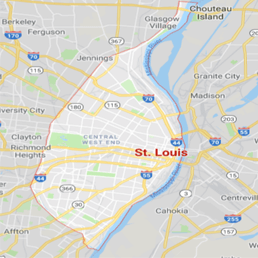 Contact John and the water damage Ballwin team with 911 Restoration Saint Louis immediately to get your home back to normal in no time today!